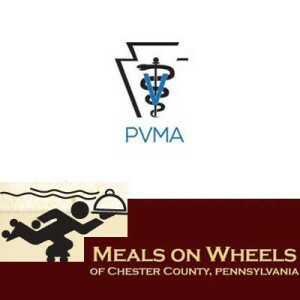 WEST CHESTER — State Senator Andy Dinniman has joined with Meals on Wheels of Chester County, the Pennsylvania Veterinary Medical Association (PVMA) and local senior centers to launch a mobile dog food pantry to assist those in need and their pets. Earlier this year, Dinniman and his family worked with the Chester County SPCA to establish Henry’s Cupboard, a pet-food pantry that assists area income-eligible pet-owners. The cupboard is named for Henry, the Dinnimans’ 9-year-old standard poodle who died in December and was well-known throughout the Chester County region. “Now, we are taking the concept of Henry’s Cupboard on the road,” Dinniman said. He said he got the idea for a mobile food pantry when he heard about senior citizens, disabled residents and others with low or fixed incomes who lack access to transportation and struggle to afford food for their pets. Dinniman recently brought together staff and volunteers from Meals on Wheels, PVMA, area senior centers and the Chester County Department of Aging Services to launch the new mobile food initiative. He also said Pennsylvania Secretary of Aging Teresa Osborne is very supportive of this idea. The PVMA agreed to fund the dog and cat food for the program, while Meals on Wheels will make the actual deliveries. In addition, representatives from local senior centers and senior housing facilities are working to identify homebound pet owners in need. “We are excited to be partnering with both the Senator and with those who serve seniors in our community. Henry’s Cupboard recognizes the immeasurable value of the bond that exists between people and animals. We hope that both the veterinary community and the public at large will be enthusiastic about this opportunity to make a real difference in both the lives of seniors and the animals that they depend upon for companionship,” said Dr. Tom Garg, chair of PVMA’s Legislative and Regulatory Affairs Committee. Jeani Purcell, Director of Meals on Wheels of Chester County, said the organization was enthusiastic to help lead the initiative. Coleen Gill, who serves as program director at the Coatesville Area Senior Center, emphasized the importance of a pet’s companionship to seniors and those with disabilities. “Companionship is so important especially for the elderly and especially for those in need,” Gill added.